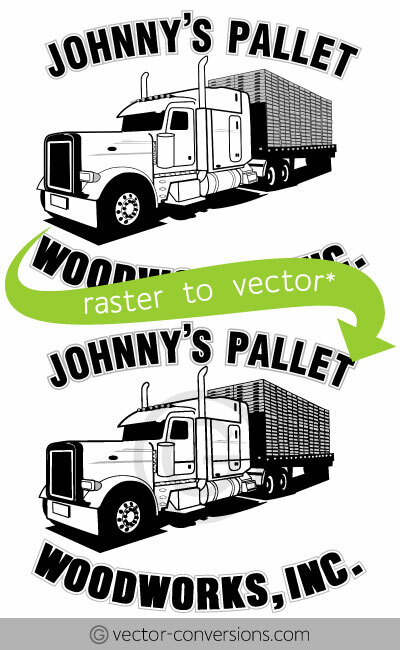 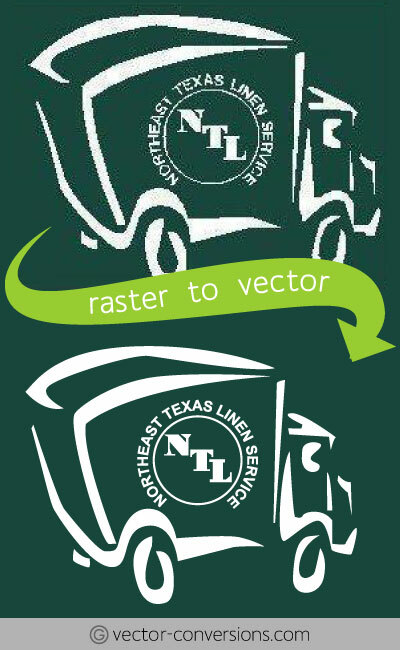 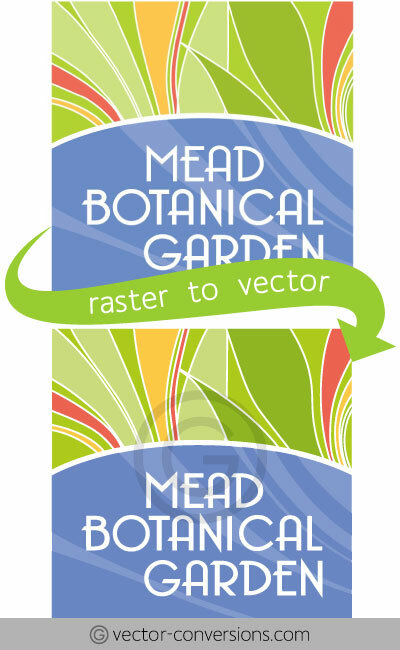 The samples on this page are Exact Copy vector conversion, meaning the original is a Raster GRAPHIC and we convert it to a Vector GRAPHIC, manually re-drawn in vector format as close to the original as possible. 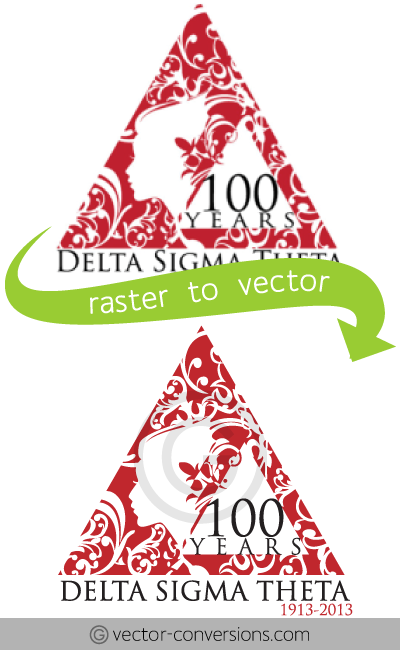 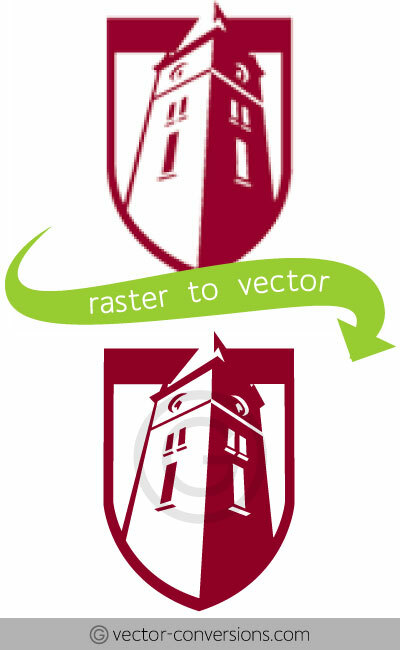 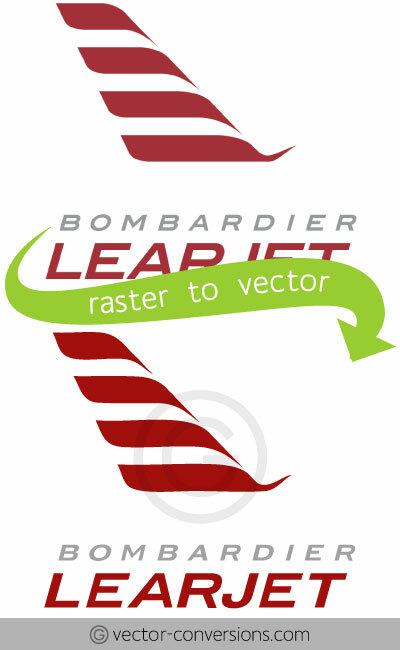 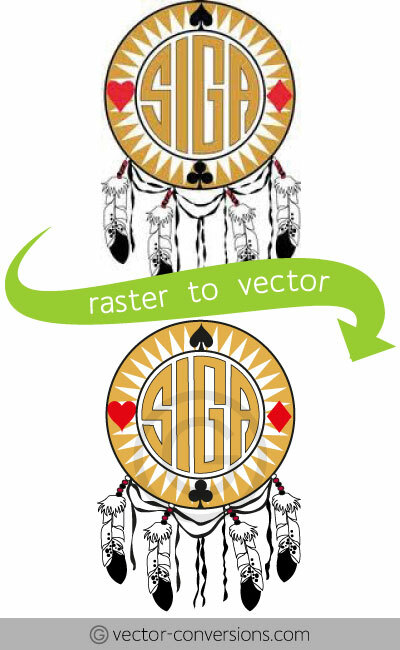 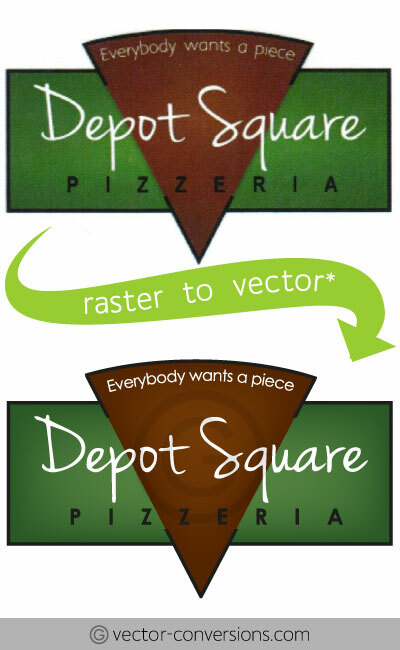 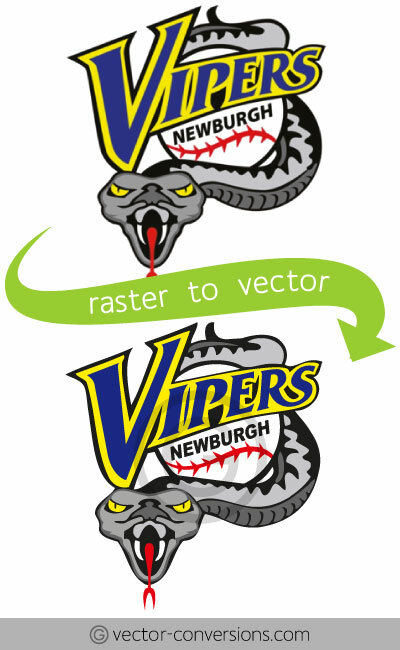 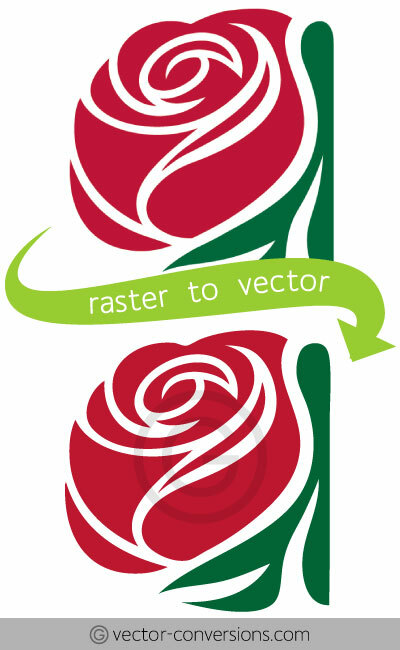 As opposed to a Raster Photo converted to a Vector Drawing, or Gradients to Vectors, which are not exact-copy vectorization because the vector graphic will be different than the original image. 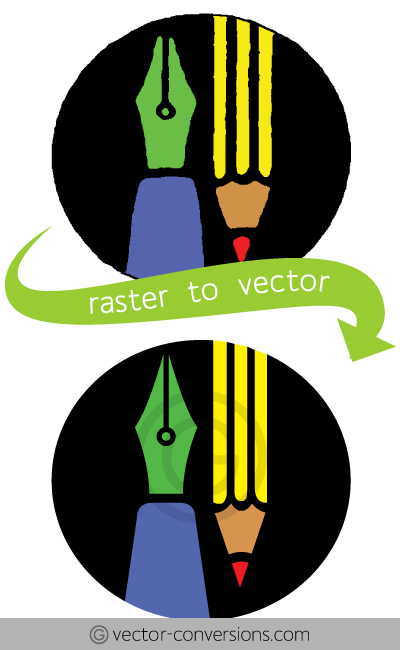 Color variations may be due to changes from RGB to CMYK color mode.